In partnership with Camden Council, Vital Energi have for the second year running claimed top spot at the H&V News Awards winning “District Heating Project of the Year” for the Somers Town Energy district heating network. Camden’s ambitious project has seen Vital Energi design and build the network in between Euston and King’s Cross train stations in order to provide heating and hot water to 339 homes across 4 estates; as well as retrofitting the energy centre within an existing council owned car park with minimal visual impact. Designed within the scheme is the potential for future growth with several further connections lined up including a primary school, private housing, community facilities and more social housing. “We are thrilled to have won this award. It is an excellent example of an integrated district heating scheme ticking every box in terms of design, build, operation, collaborative working, regeneration and legacy. The success of this project can only be measured by the close working relationship with Camden Council. 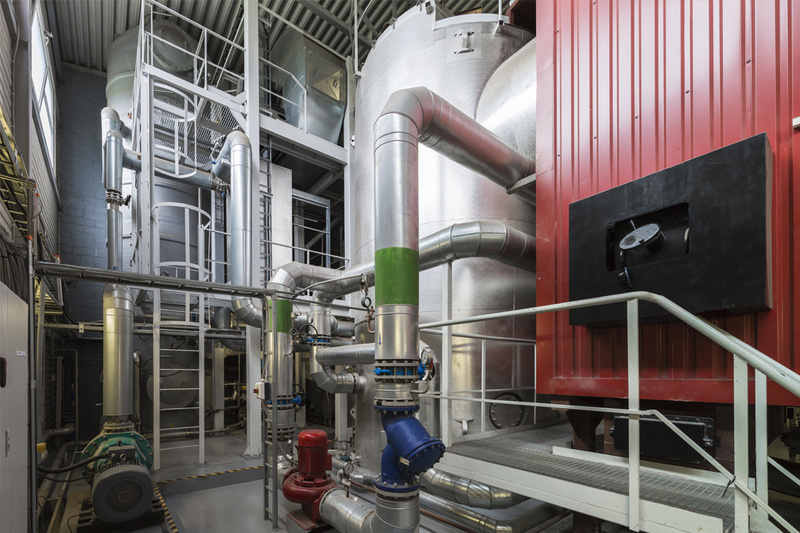 Phase 2, which is set to see a CHP engine installed in the near future, will also go on to provide low cost electricity to the Francis Crick Institute whilst capturing waste heat for use in the district heating network serving the residents of Somers town. At full build out, the project will reduce CO₂ emissions by over 1,000 tonnes per annum. “We are delighted to have won this award. Somers Town Energy is helping to reduce our borough’s carbon footprint by harnessing efficiencies to provide energy in an environmentally friendly and cost effective way. Our partnership on this scheme with Vital Energi has proven to be an excellent opportunity for us to deliver modern and sustainable heating systems for our residents.